The localized adiposity’s blemishes are caused by excessive fats’ accumulation. A dermocosmetic treatment with slimming and tonifying effect can contrast the problem. 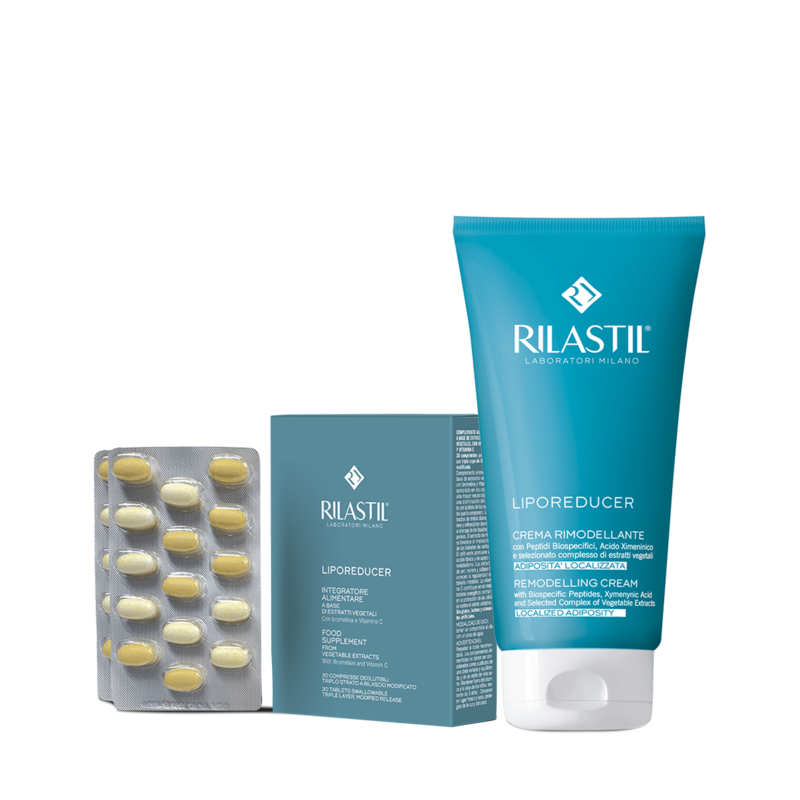 Rilastil Liporeducer, with biospeci c peptides and vegetable extracts, effectively acts for a reshaped silhouette. sandal seeds, able to reinforce the skin matrix. Skin appears more tonic and elastic due to the natural “girdle effect” remodelling action. - VBE Microencapsulated: with double action, it induces a “heat effect” and stimulates the microcirculation at local level. - Selected complex of Vegetable Extracts: it gives vigor back to the tissues.